This hearty stew has a really different flavor! There's a little heat from the dried chilies and fresh citrus kick from the lemon zest. 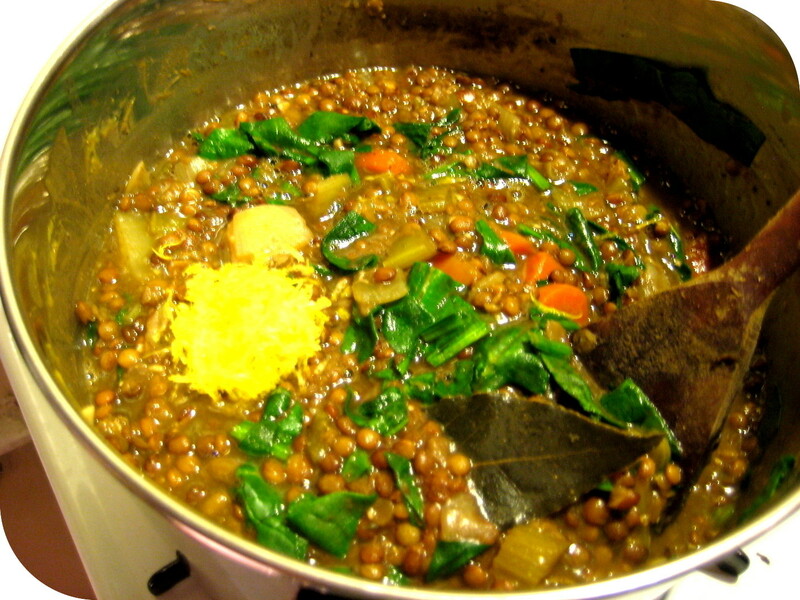 The heaviness from the lentils is softened by the fresh spinach and cilantro that's added towards the end of the cooking. Make sure to taste the soup before salting it though, since the coconut spread** is pretty salty on its own. 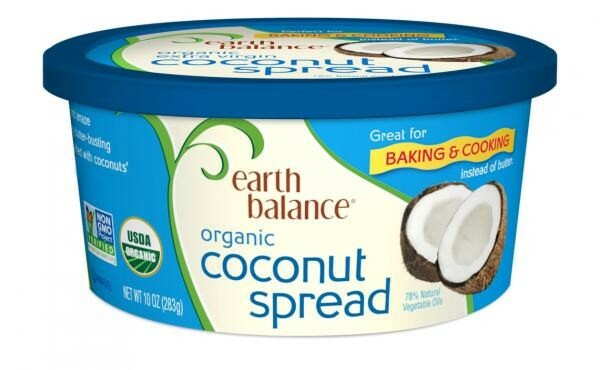 Instead of the coconut spread, try olive oil or peanut oil. This stew tastes even more delicious the next day. Heated or chilled! Heat the coconut spread over medium-high heat and stir fry the onion, carrot, celery, garlic, Bay leaf and chilies until browned. Add the spices : coriander, garam masala, Italian spices, fenugreek and black pepper to the pot and cook for 1 minute, always stirring to prevent sticking. 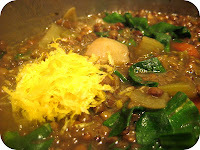 Add the bouillon cube, squash and tamari and cook for another few minutes. Bring stew to a boil without the lid on and then reduce to a simmer with the lid on. Cook until lentils are as tender and soft as you want them to be. I simmer this stew for about 30 minutes. The red lentils will have dissolved, thickening the stew, while the French lentils will retain their shape. Before serving, remove Bay leaf and chilies.